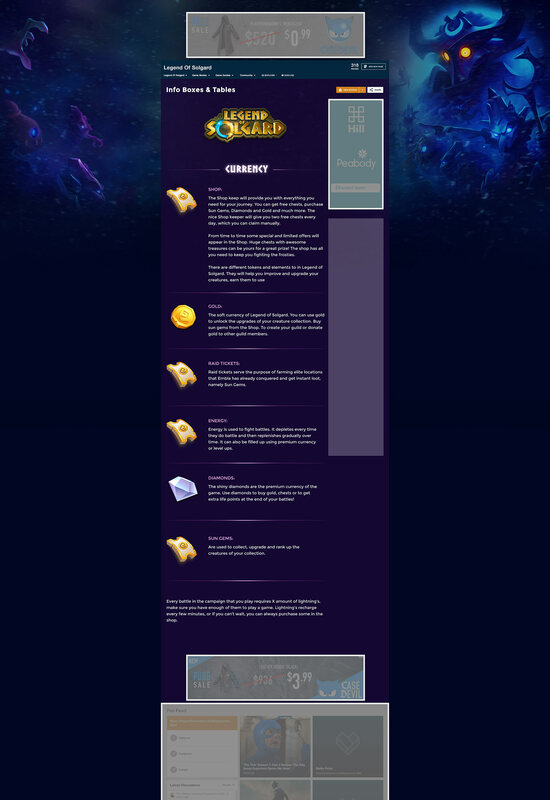 After helping design the Desktop and Mobile versions of this website I had the interesting task of working with developers in redesigning and adapting content to suit the Legend Of Solgard Fandom Wiki site. 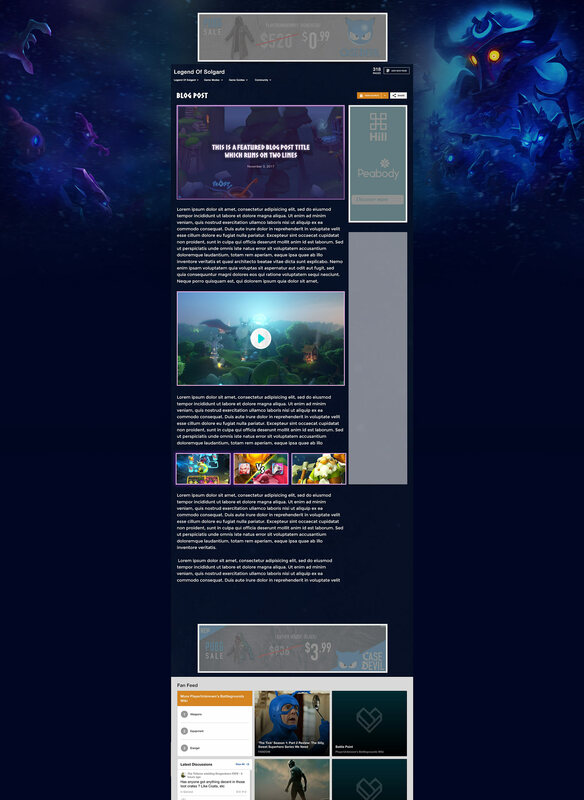 If you have ever seen any of the nearest competitors wiki's design you will see that this is an area that was ripe for exploiting to stand out as the best designed Wiki. A custom background to house the content is the first step but then it gets a little more complicated. I managed to find a way to simplify most of the designs and provide elements suitable to fit perfectly in the wiki. 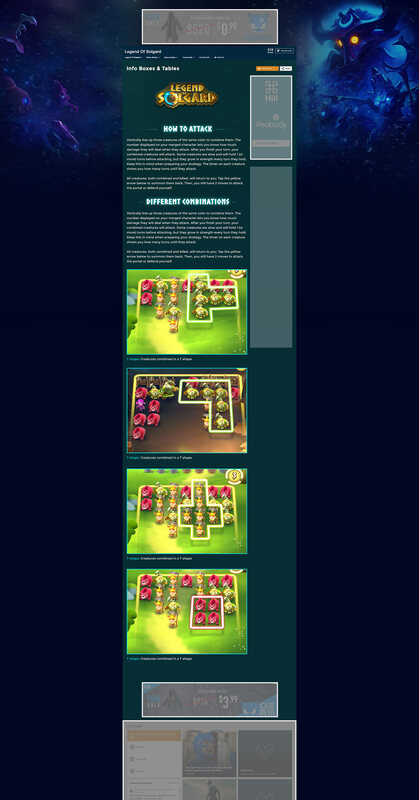 I also had to work quite closely with the developer, constantly communicating to see what boundaries we could push and how we could customise further than all our competitors. Also giving the developers enough time to experiment with the possibilities while also giving encouraging feedback to make sure they stayed as close to the original site designs as possible.